Sometimes I have trouble coming up with a concept and I ask my husband for suggestions. He sees all my manis, and he has his own preferences as well. So this time he said "paint your nails gray, you haven't done that in a while". 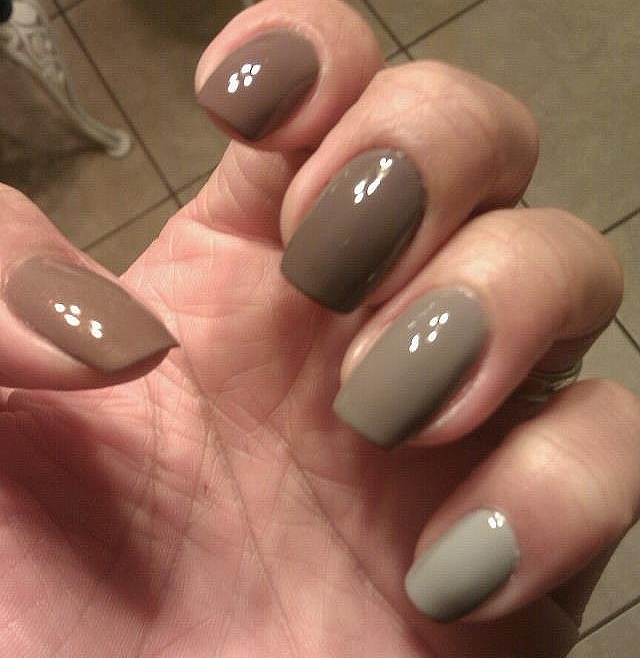 So I looked through my grays and taupes that were slightly similar and thought wow, these looks like a gray rainbow. So I tried with the grays that I have to create a gradient effect. Its a good way to compare colors, but it's also a subtle effect on an otherwise bland manicure. I call it Gradually Gray because I started with taupes and then went into grays. Thoughts? Feelings? Concerns? From thumb to pinky: Ulta "Taupe on a Rope", Ulta "Fine Pruned", Revlon "Stormy", Essie "Chinchilly, Ulta "Concrete Evidence. 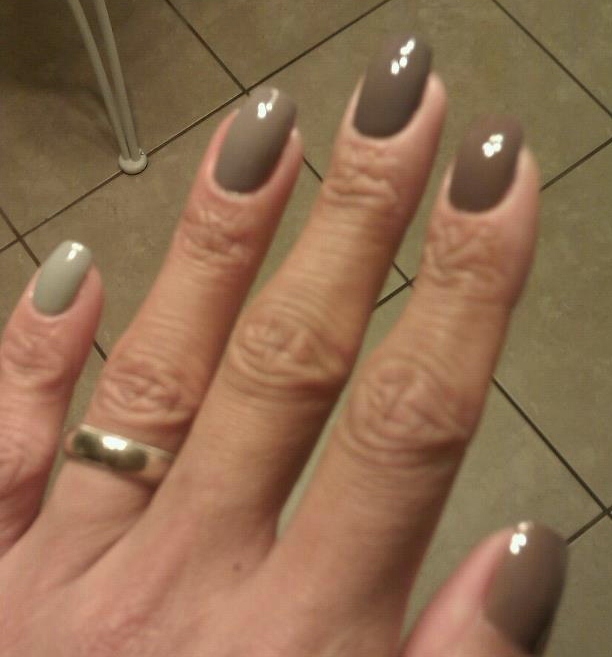 Since this mani, I have acquired two more grays that I would like to add in place of the 2 taupes. Part II to follow on another post.